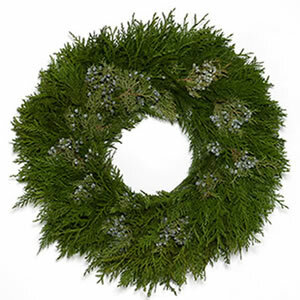 Noble Fir accented with Blue-Berried Juniper and Incense Cedar. 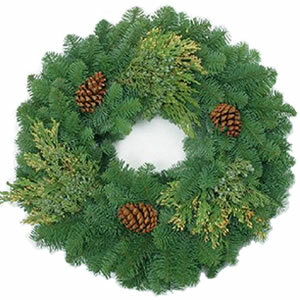 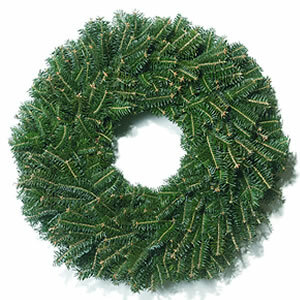 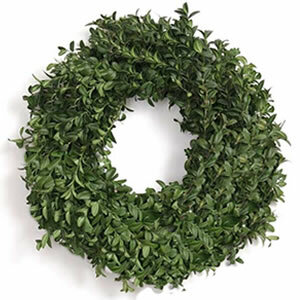 A very handsome, rich looking and fragrant wreath idea for indoors and outdoors. 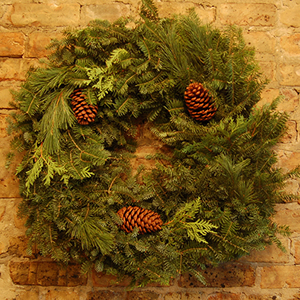 Cones are added for a highly decorated look. 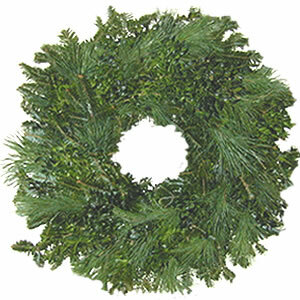 The most luxurious wreath available. The top of the fir line that your customers will be sure to appreciate.